• Room service from 6 p.m. to 2 a.m.
• Rooms accessible for people with reduced mobility. Check in from 2 p.m. and check out before 12 noon. 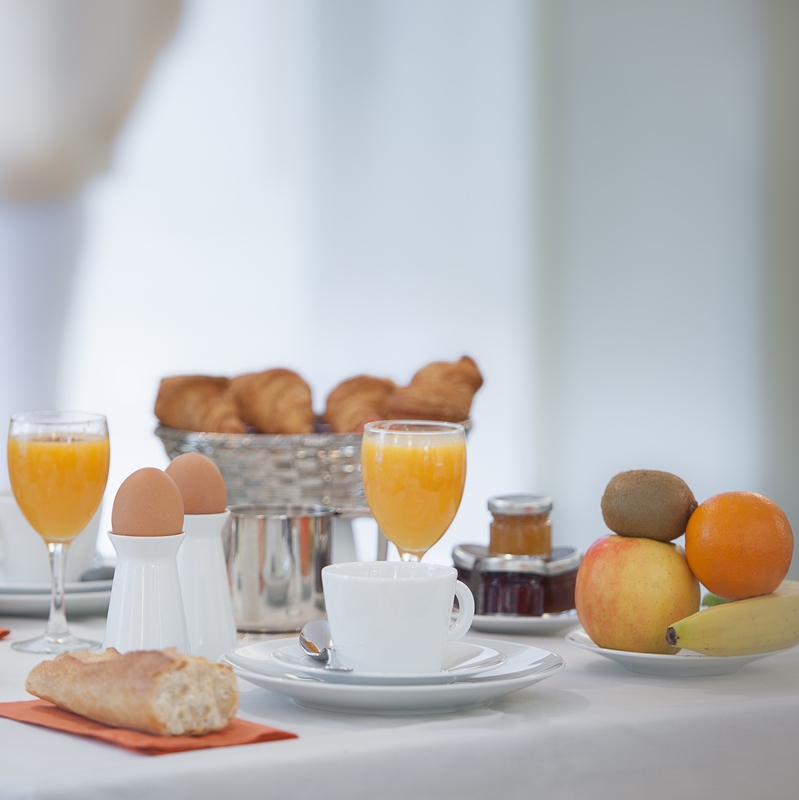 Breakfast is a particularly important time for us at the Hôtel Mansart. Every morning, in the breakfast room decorated with period stained-glass windows, you will find a hot and cold buffet with a selection of the best French products: fresh fruit juice, Alain Milliat jam, pastries from the Pâtisserie des Rêves, Echiré butter, a plate of mature cheeses, produce from organic farming - all served in fine Bernardaud porcelaine in the Esprit de France colours. The Hôtel Mansart makes available portable wifi hotspots to our guests. This very up-to-date service meets the needs of our overseas guests who want to keep connected during their trip, but want to avoid roaming charges when abroad. 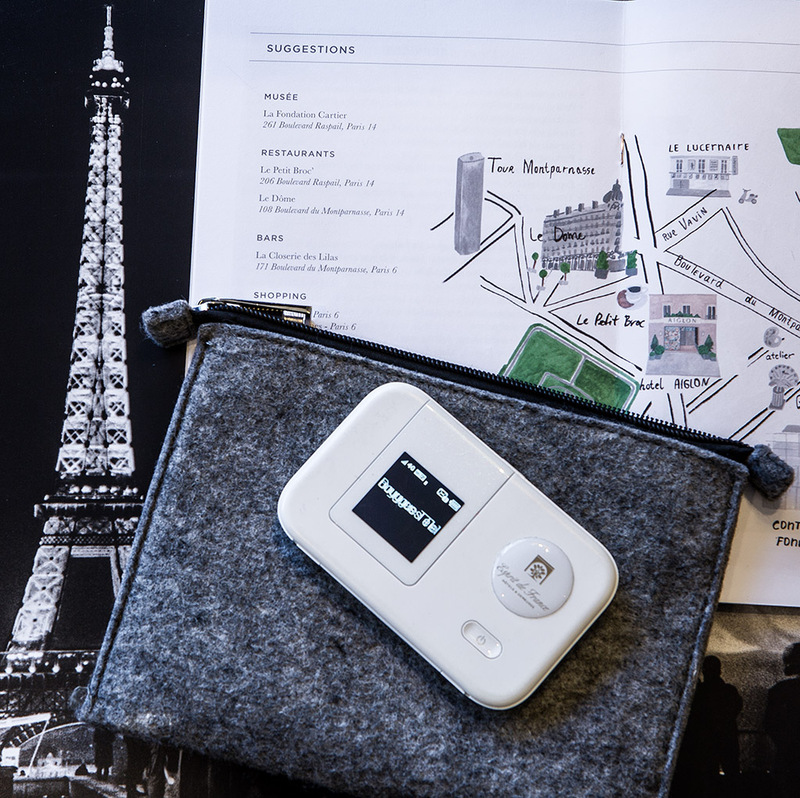 The internet hotspots are pocket-sized and weigh only 130 g. An ideal travelling companion to take with you around Paris. Art and culture are values that are dear to the Esprit de France Hotels. 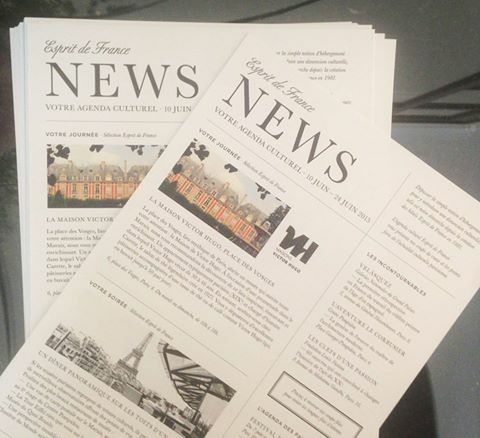 Every two weeks, Esprit de France brings you tips and recommendations from the rich range of cultural events going on in Paris through this exclusive cultural newsletter that you will be given on arrival. You will find advice on how to experience Paris like a Parisian, keep informed about major events and discover some of the unknown pearls of the capital. 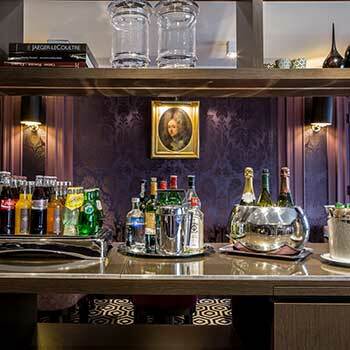 Every afternoon, the Hôtel Mansart's open access bar on the first floor of the hotel is available to guests. A range of drinks with or without alcohol are on offer. You can make the most of the lounge for a moment of peace and quiet.